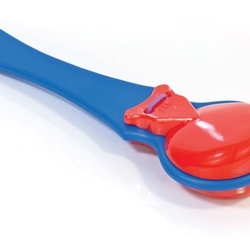 Easy to grip handle allows you to simply shake the plastic castanets which creates a great casanet sound. Includes songs and activities specific to this instrument. For ages +3 years.